Control your red shape warrior, jump around, collect stars and gems, climb on the walls, avoid all enemies and do many other things to reach locked buddy and free it. Use Arrows to move. With Z and X rotate world. 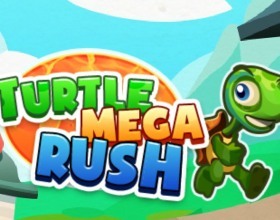 You play as a turtle who is trying to escape from a boiler. Angry cook is trying to catch you. 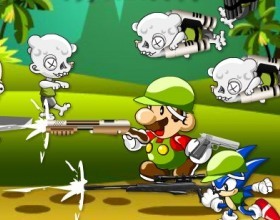 Your aim is to run as far as you can, collect coins and other items on your way to buy some cool upgrades. 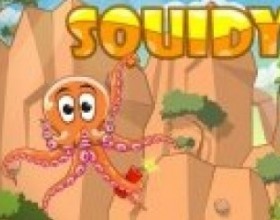 Squidy is a lovely octopus who needs to get on the land to visit his grandma. 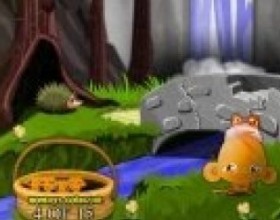 To do that you have to fling, roll, hang, throw and simply guide him to the bath to complete the level. 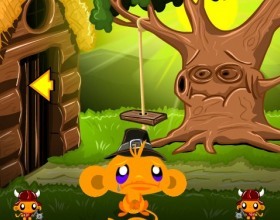 Use your mouse to shoot him with a slingshot. Help Drake the Dragon to stop the Dark Wizard from taking control over the whole nation. 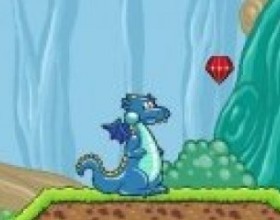 This is a platformer game, just use your Arrow keys to control the dragon and press Space to use your fire breath. 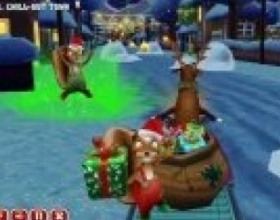 Once again you have to kick Santa Klaus to get him into those chimneys. Complete all levels using minimal number of kicks for a better score. 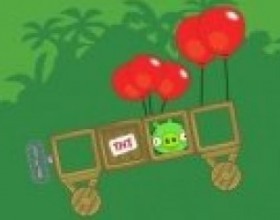 Avoid spikes, fires and other obstacles. Use your mouse to aim, set power and kick. 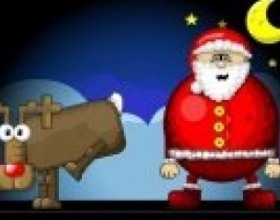 Santa found a new radical way to get into chimneys - his best friend Rudolph the Reindeer will kick him hard and let him fly right to the chimney. 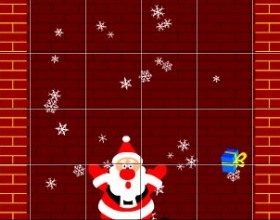 Use your mouse to aim, set power of your kick and kick Santa. Another version from Mini Monkeys. 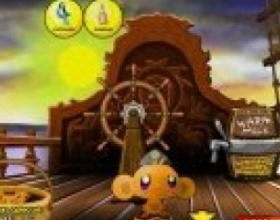 This time you have to walk around the pirate ship looking for your cute little baby monkeys. 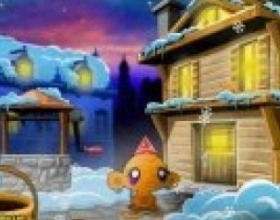 As always look for special places, collect items and use them to open certain doors or things. Use mouse to control the game. 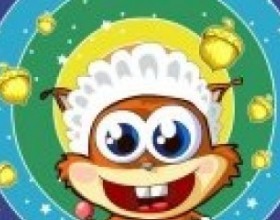 Your task is to help little baby squirrel to collect all dropped nuts and return to his mum. Complete all levels by slicing ropes and using physics to reach your goal. Use your mouse to control the game. Can you help these lovely creatures to become happy once again? 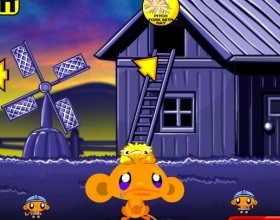 15 little monkeys are thrown into different places and spots. Your task is to find them all by clicking and pointing with your mouse on everything you can. 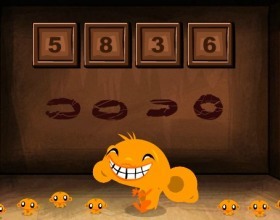 Some puzzles need special attention, like password for the door can be found on the big city clock. 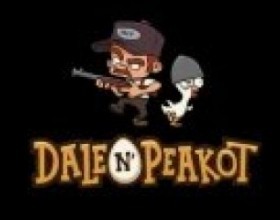 Help Dale get his chickens and their eggs back from the coyotes with the help of Peakot - his magic chicken. Use A D to move, W to jump, Space to shoot, R to reload. Use your mouse to move your hen (click somewhere). 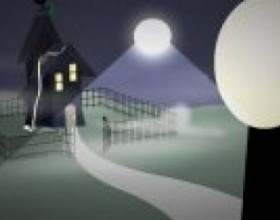 Your task is to choose from offered Halloween storylines and have fun. You can also go to sleep, but after that game will end. 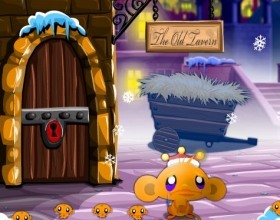 Trick or treat the children, attack houses and many more in this funny game. Use Mouse to control the game. 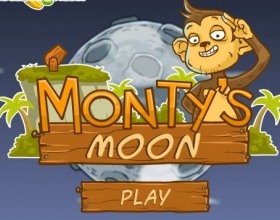 Finally something has changed in Monkey Go Happy game. This time you have to find all 15 mini monkeys to make big one happy. Pick up various items to use them later in the game. 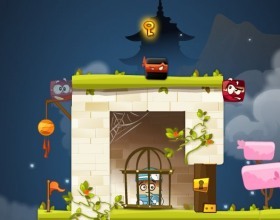 Move stones, walls and many more to look for mini monkeys. Use mouse to play this game. 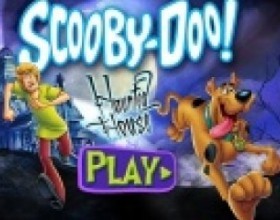 Scooby-Doo and Shaggy are here to solve some scary mystery in some old mansion. This scary place is full with ghosts and their task is to work as Ghost Busters to clean this place. Use W A S D to move around the house. Press Q to activate ghost-vision goggles. Use Mouse to aim and fire. 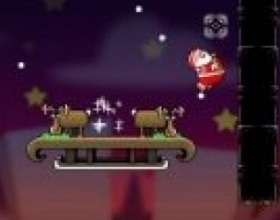 This is a flash version of the famous mobile game Angry Birds Space. 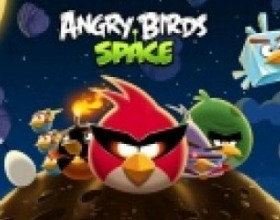 Help angry birds to retrieve their eggs and kill all evil pigs in Space. Use gravity and other features to launch your birds directly into the target. Use your mouse to play Angry Birds. Computer games for kids present a really good opportunity to facilitate a child’s personal development and make the educational process more interesting and funnier. Computer technologies make these games bright and fascinating, they catch children’s attention. 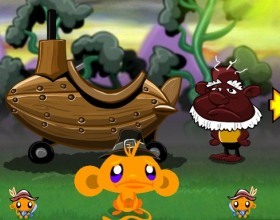 Undoubtedly, the most popular genre of kids games are cartoon games. Here, the kid can choose his favourite cartoon character and help him get through many funny situations. 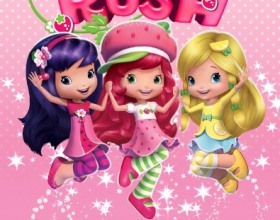 Kids are usually fond of these games and like to feel themselves in the role of their cartoon heroes. Herewith, these games either can follow the story of cartoons themselves, or create an entirely new story. Also, puzzle games for kids are very popular. These are usually built in a form of simple puzzles, riddles, quizzes, etc. Here, the kid is going to solve them. 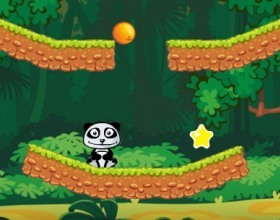 Puzzles vary in the levels of complexity; naturally, they start from the simplest levels and proceed to more complicated. Therefore, the kid can apply his/her logical skills and improve them as well. These games are usually very bright and funny in order to attract kids’attention and make the game proceeding much more interesting. Also, skill-based games for kids are a good opportunity to develop kids’ skills. In these games, children have to make certain patterns out of given elements. They can demand to match elements of the same colours, shape, size, etc. Here, quick reaction and speed of thinking are developed. Some games suggest building words and word combinations. Also, arcades are quite popular. 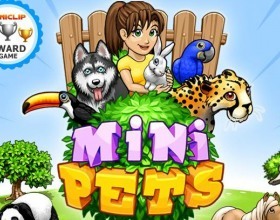 Also, some games involve animals or fantastic creatures in order to develop children’s imagination. At the same time children learn various facts about the world of nature. Some games may be built in the form of quizzes, where children have to answer different questions on various areas of knowledge. Surely, these questions are not very complicated in order to make children interested in further game proceeding and not make it boring. 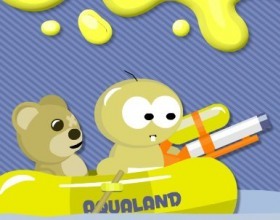 Kids games are widely available online. 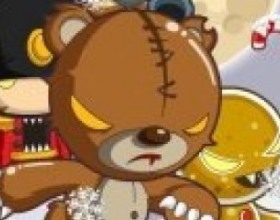 The only thing about kids playing computer games is that parents must control the time their children are spending in front of the computer playing these games. 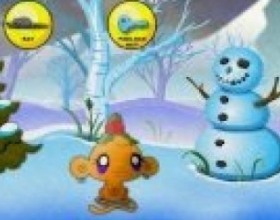 Obviously, these games can help to make the children’s education more interesting, but they cannot replace live communicating and interaction with the other children as well as socializing and entertainment.